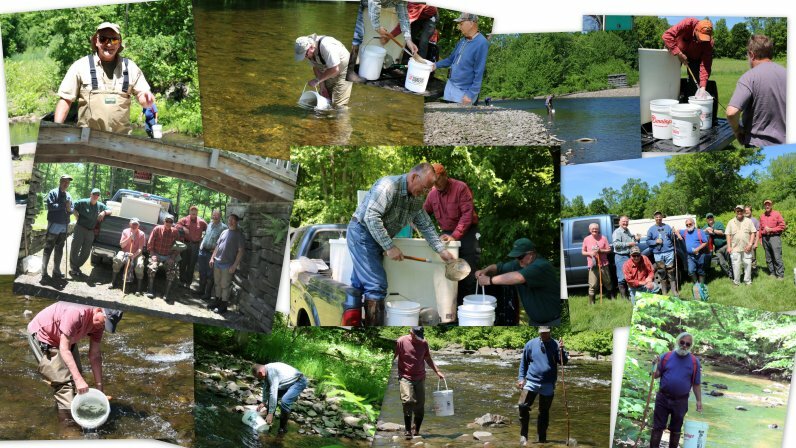 After losing all of our Atlantic salmon fry due to a clogged pipe, the club made inquiries at various hatcheries and we found two hatcheries that had surplus Atlantic salmon fry. 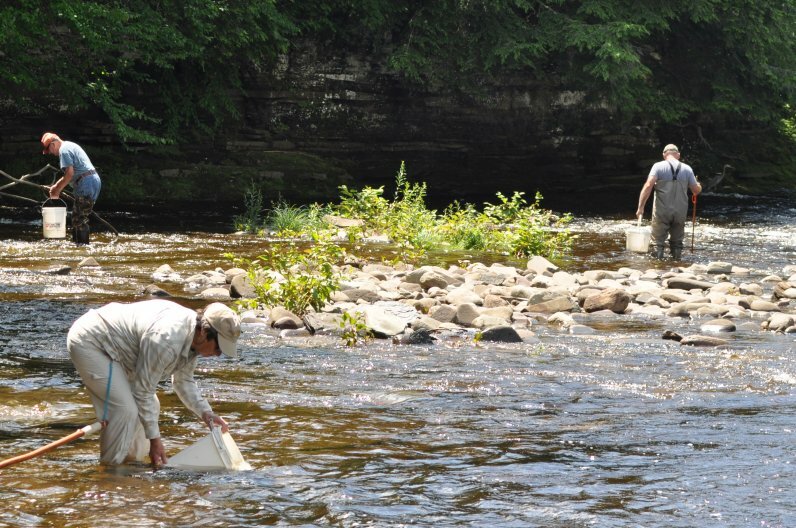 The club contacted the Adirondack Fish Hatchery near Saranac Lake, NY and they had 10,000 fry to donate to the club. The fish were a little bigger than we normally stock. The club borrowed a tank for transporting fish from the Rome Fish Hatchery and Gary Bartell was able to use his truck to transport the fish to Taberg where other club members were waiting. The fish traveled well and none were lost on the trip. The fish were placed in the East Branch of Fish Creek near Taberg and Furnace Creek which flows into the East Branch at Taberg. The club gives thanks to the DEC fish hatcheries for their cooperation and because of their cooperation the club had a successful year. A collage of photos taken by Paul W.